Last night (January 14th) former Clash cover star and game changing rapper Future hosted a launch party for his forthcoming seventh album 'The Wizrd' and it's accompanying documentary in central London. The event comprised a screening of the hour long film - which you can watch now on Apple Music - as well as a live Q&A with DJ Semtex, and a special sneak preview of the LP. During his conversation with DJ Semtex he revealed that he's been paying attention to the current wave of UK Drill music. “I feel a connection with artists like that," he explained. "Because they’re street artists. I want to know who runs the hood." When asked about specific artists he likes from London he was quick to bring up Giggs, citing his fashion sense in particular as a source of inspiration. "He's got crazy style," Future declared of the Landlord. His Epic Records deal was originally planned at six albums with one option, meaning that he completes his deal with 'The Wizrd' and is a free agent afterwards. What's next? "Something special," he says, grinning. 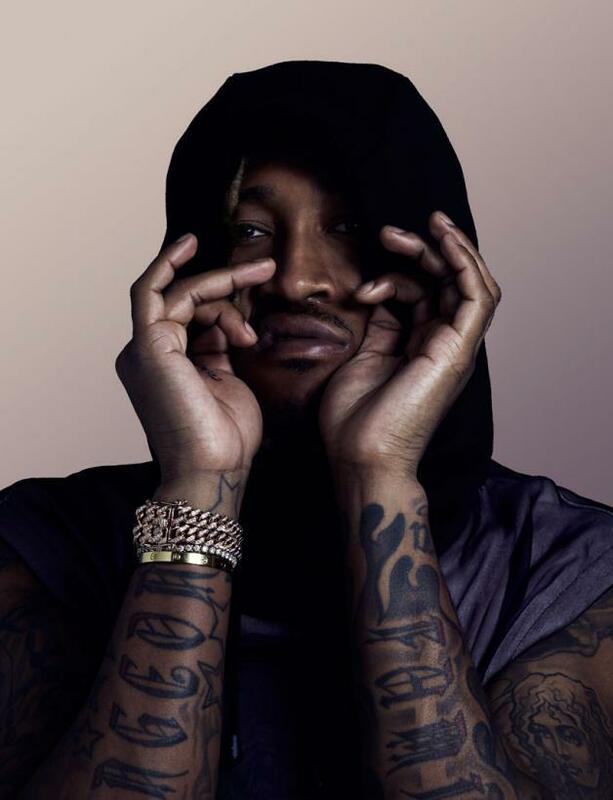 The flute-sampling 'Mask Off' was an unlikely hit from his self-titled fifth album, and was recorded while Future was sat on a stool in the studio. After being surprised by its success, a seat in the studio has become a permanent fixture and Future is recording a lot more material sat down. André 3000 declares Future the creator of "the most negative inspirational music ever"
Given that Future came up as a member of the Dungeon Family collective that also comprised OutKast, Goodie Mobb and Future's cousin, producer Rico Wade, it's unsurprising to see André 3000 - who also appeared on Future's second album 'Honest' - providing some insightful commentary throughout the film. At one point he describes himself and his son as "Future fanatics", declaring his music "the most negative inspirational music ever." You can watch Future's 'The Wizrd' documentary on Apple Music now, his new album - also titled 'The Wizrd' - is out on Friday (January 18th).